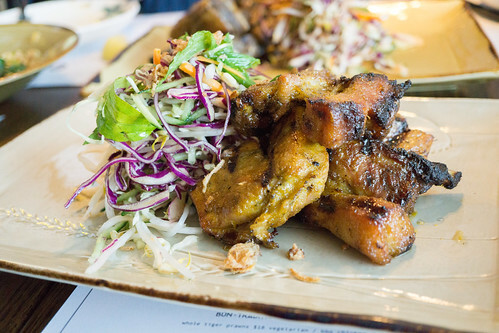 Mama’s Buoi opened in Chadstone Shopping Centre’s new wing. 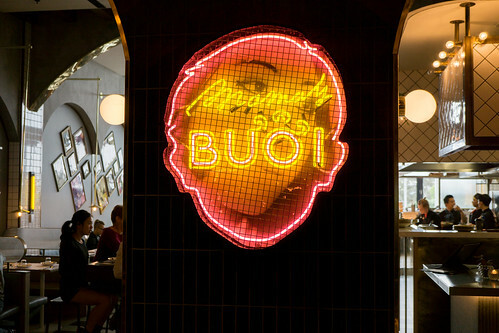 Mama’s Buoi also has stores in Melbourne’s GPO and in Sydney. 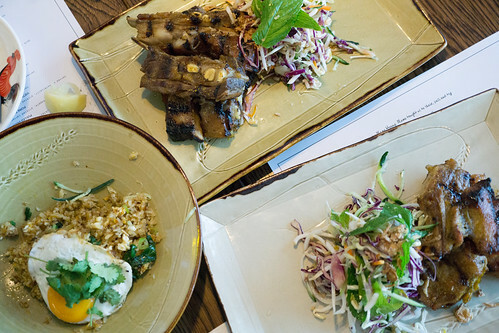 They offer a diverse selection of Vietnamese dishes, ranging from the traditional Pho to a Vietnamese Coffee Crémé Brûlée, and they also offer a ‘Feed Me’ banquet menu if you can’t decide on what to order. Their Special Crab Fried Rice, is actually quite nice with the fragrance and taste of crab, served with a lime dressing on the side. 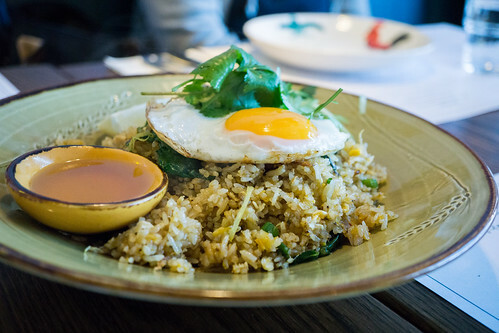 The fried rice itself was a little bit too mushy but overall it was a tasty fried rice, especially with the sunny side up egg. 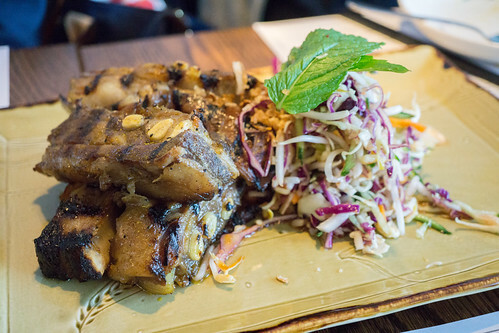 The Pork had a lovely charred flavour, it was tender and comes with a fresh Vietnamese salad. The salad here is slightly different to the one served with the Lamb, where I believe this one had more of a subtle chilli seasoning to it. The Twice Cooked Marinated Lamb Rack’s were delicious, it’s served with a fresh Vietnamese apple kimchi salad. The lamb was tender and has a nice roasted flavour to it. The salad had that perfect balance of sweet, sour and salty. While the food at Mama’s Buoi is pretty good, price-wise I find it leaning towards the pricier side of things. Especially their Pho which comes to $18 a bowl.